Tired of studying or working 24*7? Want to spend some time in fun and relaxation? Well! The summer vacations are almost here! So, what are your plans these summers? Waking up at 10 a.m in the morning, having your favourite brunch, visiting your relatives and friends, or joining a hobby class? Come on! All these things seems like an old school tale! Want to try a few unique and interesting things? Find out. Whether you’re a school going student or a working professional, each one of you can follow these tips to utilize their vacations this summer. How much do you know yourself? Wondering! We are often so spell-bound the external world that we forget our real self. We listen to people around us, believe in their beliefs and follow them, but end up listening to our inner-voice. This, in turn ruins our decision making potential restraining us from living a happy and satisfied life. This leads to stress, tension and depression. While our busy routines don’t allow us to spend time on our welfare, summer vacations can be a great time to re-connect with ourselves. This could be a good period de-stress yourself. Also, you can identify your hidden talent, passion or skills, which you might not have come across till now. Explore yourself more with spiritual practices like meditation or yoga or taking adventurous trips. Do whatever you think suits your personality the best. Identify what helps you stay at peace and works towards a calmer you. Fine tune it and become the best version of you. When you connect with yourself, you’ll get to know more about likes and dislikes, and things you are passionate about. Seek help from this enlightenment and learn something new that is relevant to your passion. There are so many exciting things for you to learn, such as a new art form or a music instrument, or a new style of dance, a new language, etc. Learn things that can enhance your knowledge. If you’re fond of doing social work, this can be something new for you this vacation. Enrol and volunteer with any local social agency, like NGOs for street children or elderly. Such voluntary groups are often looking for youngsters to contribute to their effort. Hence, you can be one of them. How About Creating a Study Group? 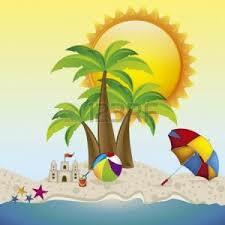 Use your summer vacations as a preparation time also. No, we aren’t talking about studying in holidays! However, you can create a good study group to share your knowledge and gain from others, too. Your group members can be like-minded or experienced people from your school/college alumni who can be brought together to share thoughts and ideas. You can also organize get-together once you get a good hold on the group. This group can prove helpful to you later during tough times or even examinations. Yes, family is important! And they deserve your love and attention. When was the last time you took your parents out for dinner or a movie? Quite long, yeah? The rush and chaos in our daily routine make it difficult for us to give time to the family members. Hence, use your vacations to spend some quality time with them. Be with them, talk to them, plan out small outings or trips with them. Offer your love and make them feel special this holiday period. They deserve it! Do you have your own ways of utilizing summer vacations? Share with us your ideas and let our readers follow them in their regime too!